Last Saturday’s Chelsea’s 3-2 victory over Arsenal drew a combined 1.167 million viewers on NBC and Universo, making it the most-watched soccer match on American television since the conclusion of the 2018 FIFA World Cup. 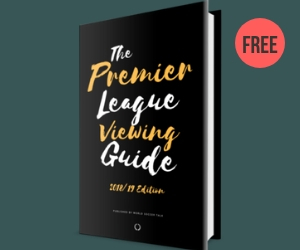 Through the first two rounds, the Premier League is averaging 587,500 viewers, up slightly from 578,250 in the first two rounds of the 2017-18 season. The UEFA Super Cup averaged 871,000 viewers across TNT and Univision’s networks. The English-language viewership dropped considerably from 315,000 on FOX Sports 1 last season to just 173,000 viewers for TNT’s first UEFA broadcast. Meanwhile for Univision, the 698,000 viewers far exceed any UEFA Champions League match on FOX Deportes last season. Liga MX finally broke the 1 million viewer barrier for the 2018 Apertura on Saturday with a total of 1.02 million viewers watching one of three matches airing in the 10PM Eastern Time window. Querétaro and Club América played to a 1-1 draw on Univision which held the largest share of the audience while an additional 158,000 and 66,000 viewers watched matches on FOX Deportes and Univision Deportes. Hi Colin do the EPL numbers include the spanish viewing numbers? I appreciate the work Colin but consistency. These numbers are harder if not impossible to get with the demise of Sportstvratings as a source. Also, some other notable twitter accounts that would give some numbers have gone silent. For example, what happened to that DFW tv guy. It isn’t like they are hiding numbers, these are the numbers that are publicly available. You can compile them yourself, go to showbuzzdaily.com. Maybe I’m wrong, but are we seeing a pattern of the drop off of the Sunday night games from the top 150. These are the premier MLS events for the week. Collin, you have been doing this a long time, but this seems to be a recent trend, no? We can’t say “MLS is growing” when your marquee games start to miss the top 150. Maybe I should post this as a comment for the previous week, but how does any ESPN programming not make the top 150? Did I miss a game being moved? If not, and there was really a game on at 4pm and didn’t get in last week’s list, there is a real problem. 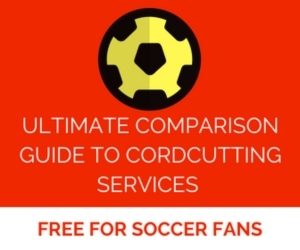 Tried to respond to your post and say that I’ve noticed ESPN FS1 soccer property rights viewing numbers are down across the board following the World Cup with the USMNT failure to qaulify I’ve noticed it’s not just a MLS issue ICC was way down Seria A numbers are still BeIn level and even Liga MX is way off. It’s concerning. MLS is actually overall fairing well the average viewing number is 326k way up from last years 258k. Numbers were way up earlier in the year 276k pre world cup and got as high as 343k post world cup so the recede in TV ratings hasn’t hurt MLS overall numbers as much as you’d think. Those averages are for only those that are publicly available in the top 150, correct? Or do your numbers average in all national games somehow? These also include games that were immediately after the World Cup. It would be interesting to see what the median numbers are. These are for all National games on ESPN/ESPN2 FOX/FS1/Univision/ Unimas. Getting the numbers is what I was talking about and I can confirm and knowledge what you say. I’m talking about consistency in how they statistically do the averages here, if you get a number add. IMHO respectful opinion there is no reason to have not added the 110k of the FOX Deportes number to the 565k on FOX specifically since FOX and many outlets reported the number viewing number as 676k. Secondly all the Universo/Telemundo spanish viewing numbers aren’t always made public especially for the smaller EPL viewing audiences. Yet its decided that it is ok to include those numbers when talking about the EPL viewing audience. It’s just confusing when things are done so inconsistently is what I’m saying. Why is it ok to add the numbers for EPL to present a larger number in articles that get written referencing EPL viewing numbers but the same additional viewing numbers when available for MLS get subtracted from MLS viewing numbers. For those that only watch EPL that’s fine but it really should matter what league you watch the numbers should be reported equally across the board. If you apply one rule for one you have to apply it for others. Surely this can be understood. Don’t mistake my questioning as not appreciating the work Collin does but I appreciate fairness much more. We get all the numbers for Spanish Premier League broadcasts directly from Telemundo because they are kind enough to share them with us. ESPN and FOX do not share this data with us. When Spanish-language numbers are available for MLS games are available they are always reported, I don’t understand your issue. If you go back to the piece for the game you are specifically referring too, the number is reported as 676k. If I am ever going to compare MLS and Premier League numbers, they will be English-only because that is most fair. ESPN Exec VP/Programming & Scheduling Burke Magnus said that when news broke last month that Cristiano Ronaldo was joining Juventus, it was a “massive stroke of good fortune” for the net, which at the time had “secured about 90 percent of Serie A inventory from IMG” in the U.S., according to Richard Deitsch of THE ATHLETIC. Magnus said, “Originally we were going to take a big portion of the package but not the entire package. That piece of the negotiation was done prior to his announcement.” Magnus, “[Ronaldo’s] decision got us interested in a comprehensive rights agreement. With him there, we wanted to have control of 100 percent of the inventory.” Once the Ronaldo news was announced, IMG had “additional suitors inquiring about specific Juventus games, but ESPN was able to close on a three-year deal to acquire the U.S media rights to all 390 Serie A games.” Magnus expects ESPN will “pick up the English-speaking world feed broadcast but reserved the possibility of ESPN announcers calling a game of major importance onsite one day.” Magnus said that the negotiations for Serie A started “shortly after ESPN+ launched on April 12.” ESPN officials were “pleased with the streaming metrics for MLS games” and that increased the net’s “appetite to add more soccer long-term for its streaming product.” Since the Serie A acquisition, ESPN has also “acquired the streaming rights to the Dutch league as well as Australia’s Hyundai A-League, the Chinese Super League and Westfield W-League (the top women’s league in Australia).” The company is “clearly using global soccer as an inducement to get people to sign up for ESPN+” (THEATHLETIC.com, 8/15). BIGGER PICTURE: In this week’s SPORTS BUSINESS JOURNAL, John Ourand writes the ESPN-Serie A deal “represents only one part of a larger story.” As part of the three-year, $165M deal that it signed with IMG, sources said that ESPN also “ended up with the rights to England’s popular FA Cup.” ESPN “picked up the Serie A rights from beIN Sports, which had been paying” around $28M per year on average for the past three years. Sources said that the net “picked up the FA Cup rights from Fox Sports, which had been paying an average” of around $6M per year for the past three years. IMG last October “picked up Serie A’s global rights” through ’21. MP & Silva had previously “held those rights.” Meanwhile, one of the questions surrounding new ESPN President Jimmy Pitaro “dealt with whether he valued soccer as much as former President John Skipper.” This deal “offered an emphatic answer to that question: he does.” Pitaro’s ESPN “may not spend as freely on soccer rights as Skipper’s ESPN did.” But it is “clear that ESPN will remain committed to the sport under Pitaro” (SPORTS BUSINESS JOURNAL, 8/13 issue). I am hoping that they will do a better job marketing the Serie A though. So far, not overly impressed with what they’re doing. In addition, to the weekly recap and preview, a pre match and post match show would do wonders. Any info on Serie A ratings for this week on ESPN 2 or ESPN news last week? Have #’s been released yet? Also when accounting for Serie A ratings, rai international has to be considered I believe they have 300k 400k subscription in USA, nobody subscribes to Rai for the programming, most is for Serie A, has made Serie A look bad on Bein viewership #’s . But most of the USA ‘s Italian speaking public is watching on Rai. Is there any way to track those stats to get a more fair assessment? By the way I love the #’s and stats ratings wise for each league and you do s terrific job, thanks. Correct, Chievo-Juventus was on ESPN+ so the viewing numbers for that game won’t be available to the public. And the Roma-Torino game was ESPNEWS (and I believe that viewing figures for ESPNEWS aren’t measured by Nielsen). I looked it up Christopher it appears that Nielsen has started tracking ESPNNews as of May 2018 it’s in 63mil homes still more than the 40 mil BeIn audience Serie was available to. You are correct Christopher my mistake. It doesn’t appear the Juventus vs Lazio game Sat 12 pm on ESPN2 cracked the top 150. Juventus-Lazio on ESPN2 averaged 210,000 viewers. Borussia Dortmund vs RB Leipzig on FOX averaged 395k ok average what do they normally get on BIF FOX again. I think you’ve mentioned before.